Explore a varied offer of budget coach / bus tours that will take you through some of the most renowned destinations such as Vancouver and Victoria. Each affordable tour will provide you with memorable experiences for some of the lowest prices on the market. "I loved that trip! The company was well organized and Rhawnie has a huge knowledge..."
"Not too much time in each place"
"The perfect way too see the best of western canada in a short space of time! A trip..."
"Amazing trip - highly recommend it!" 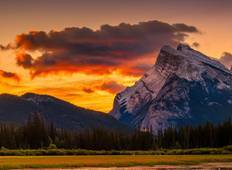 "It was my first trip to the Rocky Mountains and it was AMAZING. If have seen so much..."
"This was an excellent tour! From the get-go, everything was organized and we got..."
"The trip itself was good. The sites were absolutely beautiful! Basic good hostel-accommodation...."